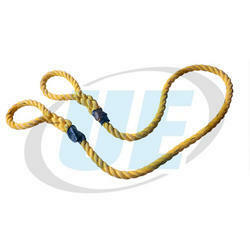 Pioneers in the industry, we offer wire rope, polypropylene rope and pp rope slings from India. At our well-equipped production unit, this rope is coated using polyvinyl chloride and avant-garde techniques with the help of our adept professionals. Owing to its abrasion and moisture resistant attribute, this Wire Rope is extensively demanded in chemical, medical, electronic and fishery industries. We are instrumental in offering our valued clients with precision made Wire Rope, which are used to harness various kinds of goods. 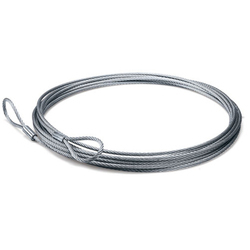 Moreover, our Wire Rope are flexible, durable and long lasting, ductile, easy to inspect, collapsible for convenient storage, and will adhere securely to the contours of a load. Our clients can avail Wire Rope in various technical specifications as per their requirements. 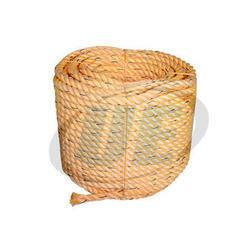 We offer these products at very reasonable price and we looking buyer of Wire Rope from all over India. 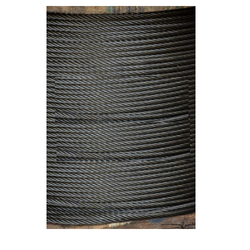 We are leading manufacture of PP Rope slings and we able to provide these PP Rope slings as per client requirements and mainly we looking buyer of PP Rope slings from all over India.